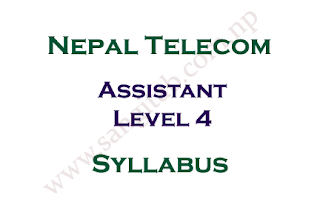 Nepal Telecom has the post Assistant Level 4 which fulfill by open competition. Here is Nepal Telecom Syllabus: Assistant Level 4 that available for all to read online or can download to read offline also. Check Nepal Telecom Syllabus of level 4 post Assistant below. Please check the official site to get further changes and updates on syllabus immediately.